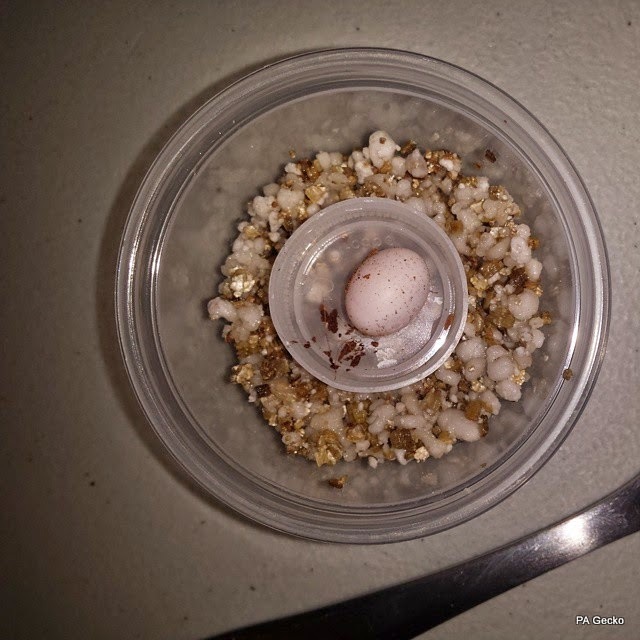 Tonight while making rounds feeding geckos we found a single egg from our Stripe Panther Gecko project. These eggs are very fragile and we didn't mess with it too much being that we didn't want to damage it. It's in the incubator now with all the Leopard Gecko eggs. We can't even wait to find more very soon!